Plain Amish living, Civil War intrigue, and forbidden love all collide in Riverhaven! 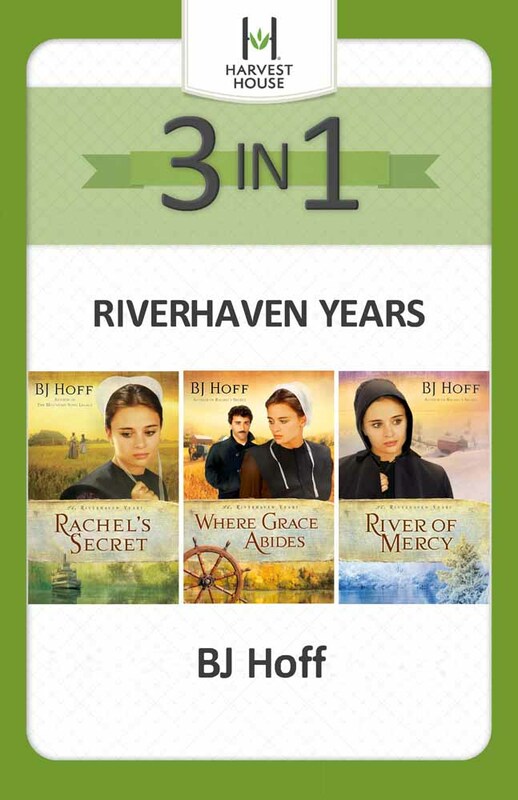 For the first time ever, bestselling author BJ Hoff’s dramatic and heartwarming series The Riverhaven Years is now bundled into one ebook set! When wounded Irish-American riverboat captain Jeremiah Gant bursts into Riverhaven, he brings chaos and conflict to the small Amish community—especially for young widow Rachel Brenneman. The unwelcome outsider needs a safe place to recuperate before secretly continuing as an Underground Railroad conductor. Neither he nor Rachel is prepared for the romance that threatens to endanger a man’s mission, a woman’s heart, and a way of life for an entire people. Secrets, treachery, and persecution are only a few of the challenges that test Rachel’s faith and her newfound love, while Gant’s own hopes and dreams are dealt a life-changing blow, rendering the vow he makes to Rachel seemingly impossible to honor. Meanwhile, those striving to help runaway slaves escape to freedom face deception and the danger of discovery. Romance, drama, and great characters join together in The Riverhaven Years 3-in-1 ebook-only bundle for a tender, endearing love story and a bold, inspiring journey of faith.